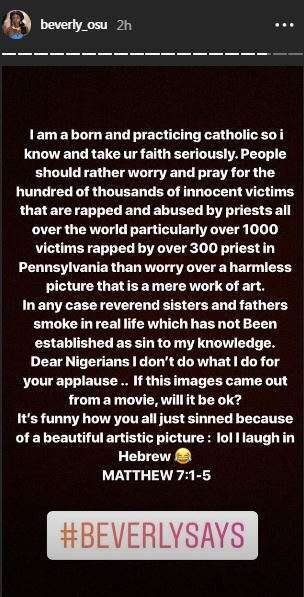 Nollywood actress, Beverly Osu, who was on the cover of TaylorLive Magazine, has replied critics over her recent pictures where she dressed as a nun. 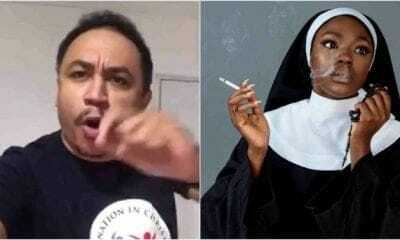 In one of the pictures, she is seen dressed like a nun and holding a cigarette in her hand, and the other revealed parts of her body which has generated several reactions on social media. See the pictures stirring controversy here.